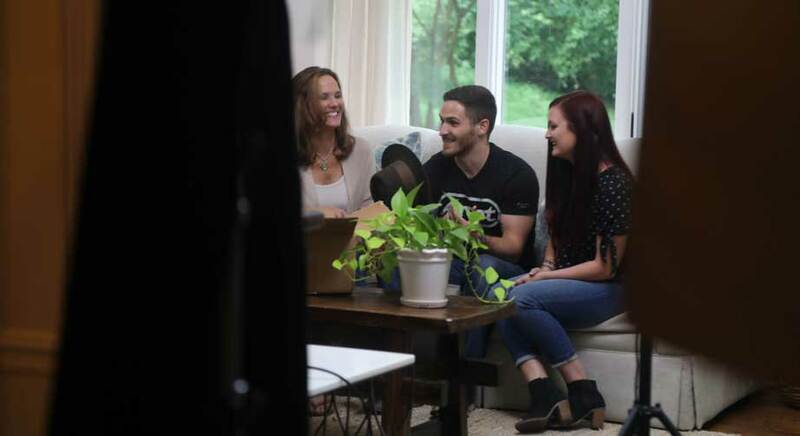 When he was 17 years old, Robbie Allison started reading the biography of his late father Davey Allison, penned by his mother and Davey’s widow, Liz. Titled “Full Circle,” Robbie dove into the book as a way to get to know his father, who died tragically when Robbie was not yet 2 years old. When he got to the chapter of his father’s fatal helicopter crash, Robbie felt a pang of loss, an emotion he didn’t quite comprehend when he was young. “There I am at the end of his life, and that really took me by surprise,” he said. “I’m just getting into this story and enjoying what I’m reading, and he’s gone. I think it’s very symbolic of his life. There was so much that he had left to accomplish, and it was cut so short. I think that’s something that we all still grieve over. The process of getting to know their father after his death is strange for Robbie Allison and Krista Allison Sheinfeld, Allison’s children. Sometimes Robbie goes back to Hueytown, Alabama, to visit his father’s grave. He doesn’t usually tell anyone he’s going — he goes to sit and talk to his dad. Like any son, he yearns for a father’s listening ear. Like Robbie, Krista has few memories of her father; most come from photos or videos, as she was also young (3 years old) when he passed. But one of Davey’s distinct features remains with her. “I know Robbie and I have talked about this. We remember the way that he smelled,” she said. Both Robbie and Krista say they associate the smell of charcoal with their father. Family members have helped paint the picture of Davey for Robbie, too. But finishing the biography was the final, sometimes painful, part in getting to know his father. “They say there’s the five stages of grief and I went through all five of them just from reading that biography,” Robbie said. “When I got to the other side of those five steps, and grief is a lifelong process, but when I had felt like I had properly processed grieving over that loss, I was glad that I did it.